Pollen is the male seed of the flower blossom, the dust that is attached to the stamen. When the honey bee visits the flower to gather both pollen and nectar, she uses her jaws and legs to gather the pollen onto her body. Once it is collected the honey bee pushes all the pollen particles into little "saddle bags" located on the outside of her tibia. The digestive enzymes of the bee mixes with the pollen dust creates the hardened "rock" that the bee carries back to her hive. What is in bee pollen? 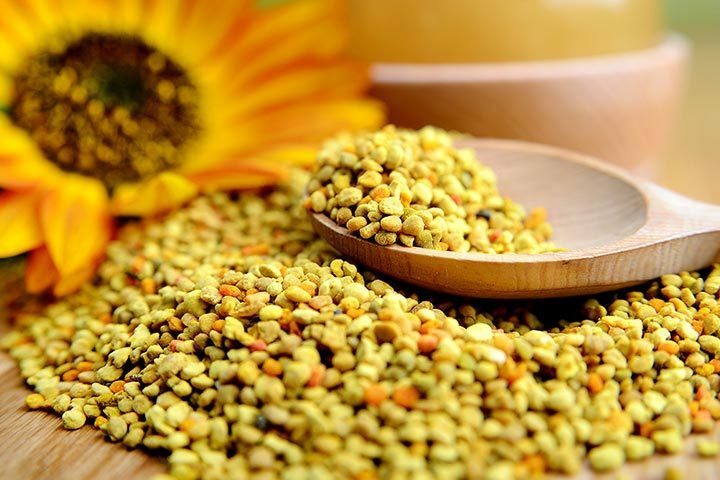 Bee pollen contains numerous proteins, amino acids, vitamins, minerals, fatty acids, carotenoids and bioflavenoids. Of course the content of the bee pollen is not always the same as the bees collect from a variety of plan species. There are however, multiple vitamins, minerals and enzymes as listed below. Bee Pollen is structured by approximately 40% protein and is considered one of nature's superfoods in the idea that it contains almost all the nourishment that a body requires. This makes sense because it is also food for the bees, which is why at Tamarack Jack's Honey and Meadery, we only collect the pollen one day per week and never in June. The reason we don't collect it in June is because it is important for the bees health and energy to start creating their delicious honey! 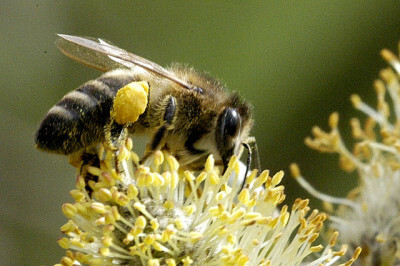 Bee pollen has been used to aid in allergy reduction. *Note: Pollen from your local area can help to reduce allergy symptoms if taken over a long period of time. Bee pollen can clear up acne as well as act as an anti aging ingredient due to the absorbtion of free radicals. The proteins and mix of minerals and vitamins stimuates cell growth resulting in clearer skin, healthier hair and nails as well as feeling great! Bee pollen is a natural appetite suppressant as well as a detoxifier that aids in dissolving and flushing fat from the body. It is said that bee pollen appears to have the ability to stabilize a faulty metabolism. 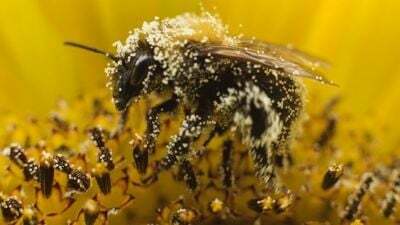 As research continues, new uses for bee pollen are being found. Studies have shown that bee pollen can reduce the side effects of chemotherapy and also slow the growth of cancer cells. Pollen stimulates ovarian function, therefore aiding in the reduction of infertility. If you need an immune boost, bee pollen is what you need. The mixture of pollen and digestive enzymes can build up immunity. Pollen also generates energy and focus, in turn, allowing you a much deserved restful sleep at night.